Sometimes you go on a trip that really changes your life. I’ve had a few. Campervanning with my family through Europe for six months as a kid: definitely gave me a whole new perspective on the world and the realisation that little ol’ Perth, down here in far-away Western Australia, was not all there was to the world. Living and working in Japan, Slovakia and Germany as an adult was also pretty life-changing. But the trip that I actually credit for changing the course of my life more than any others – well you will have to listen to the start of this episode to find out what that was!! Sometimes, the things we learn from travel creep up on us in a cumulative way. Other times, one trip teaches us so much and just whacks us in the head and makes us change something significant about our lives! And this episode of The Thoughtful Travel Podcast is definitely about the latter situation. 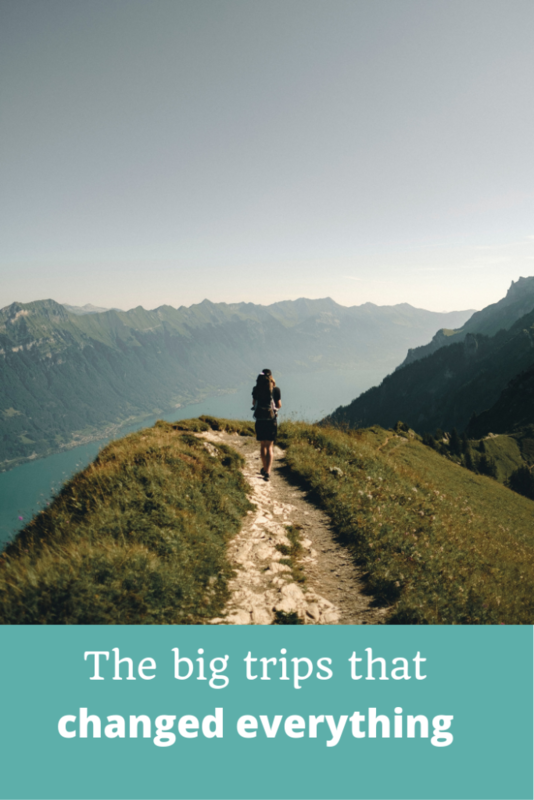 First up I talk to Dean O’Shea who took off on a huge challenge to hike the Pacific Crest Trail in California when he was 22 – and he chose it purely because it was the longest, hardest journey listed in his mother’s book of long, hard journeys! What happened in and after California is not what you’d expect – and certainly not what Dean expected either – but it changed his life in some significant ways. I then chat with Seng Mah, a friend of mine here in Perth who has long told me that going to India is life-changing for many people (and yes, I’m now convinced I need to go there sometime!). Seng’s first experience of travelling through India gave him so many insights and new perspectives that his life then changed very significantly, changes that have lasted now for a decade.